Raffle tickets for the Swiftune raffle were sold for £5 each since March online and at the Mini Festival, with over 1,500 tickets sold. During the Sunday grid walk, the Dementia UK fundraising director picked out three names at random for the raffle engine, BTCC tickets and a selection of Swiftune 50 Merchandise. Craig Lemon who is based in Victoria Australia, was revealed to be the lucky winner of the Swiftune engine. When we passed on the news to Craig, he was over the moon and already had plenty of plans to bring his Mini back to life with its brand new engine! 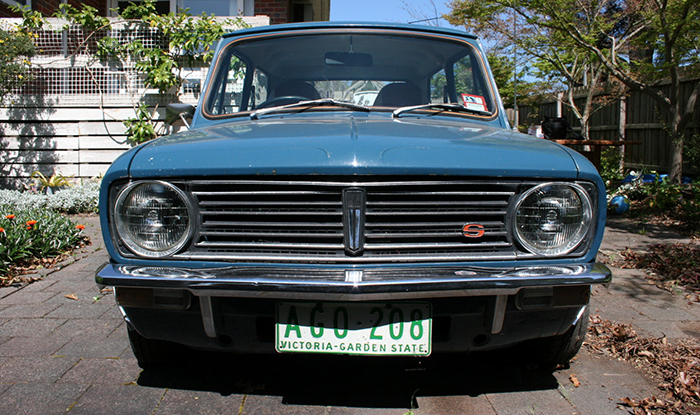 Craig is the owner of an Australian-built 1978 Leyland Clubman Cooper S which he purchased in 2006. “Initially, I was a member of the Victorian Mini Club in Melbourne. However in recent years, while raising a family, the car has become some what neglected” Craig explained “It is now long overdue for some TLC”. He continued to explain that with this win, the car will now be bought back to life. “I am ready to bring the Mini back from the brink, and already have ideas of what will be needed to get the car ready before the engine is installed”. Craig is looking to make a few additions to the car and also a respray in the standard Sovereign blue as the current paint work is original and is now very faded. A very well deserved winner, and we look forward to seeing the engine fitted in the car!